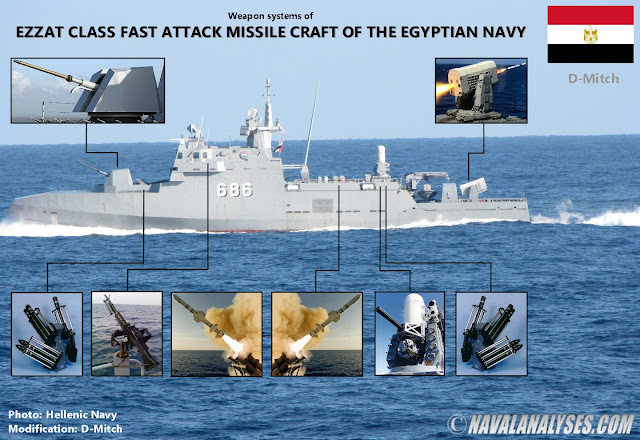 The Ezzat class, or else known as the Ambassador Mk III class (sometimes referred to as the Ambassador Mk IV design), of the Egyptian Navy, consists of four fast attack missile craft (FACM). These are perhaps the most powerful vessels in this category considering that the Taiwanese Tuo Chiang-class boat with its 16 (!) 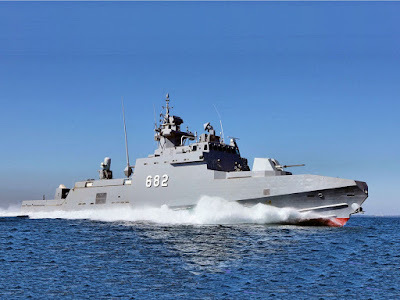 anti-ship missiles, Phalanx CIWS, 3in gun and torpedo launchers is classified in the category of corvettes, even though this vessel is actually a fast attack craft due to its small displacement of 570tons and length of about 60 meters. 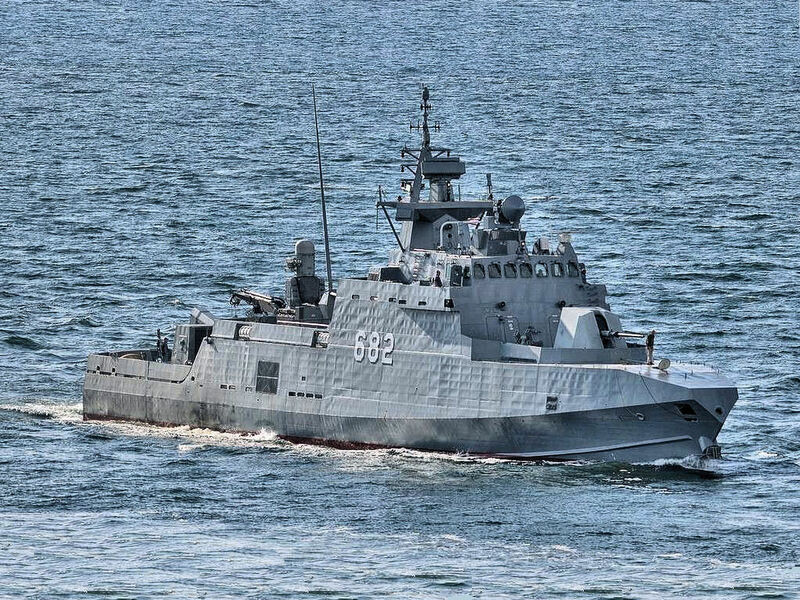 Equal to the Ezzat class are the Sa'ar 4.5 class FACM of the Israeli Navy that except the regular armament of a boat in the category, they carry 16 Barak-1 short range anti-aircraft missiles (in the past they carried 32 plus six Gabriel anti-ship missiles except the Harpoon launchers)! In the second place, one would place the Greek Roussen class FACM with their eight (8) MM40 Blk3 SSM (superior to Harpoons in the range), RAM launcher, one 76mm gun and two 30mm gun turrets. One thing is for sure: the Ambassador Mk III boats are some of the the most well armed and advanced FACM in the world today! 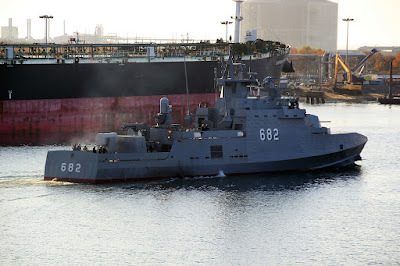 The lead ship, S. Ezzat, was laid down on 7 April 2011 and launched in October 2011 and was handed over to the Egyptian Navy on 19 November 2013. 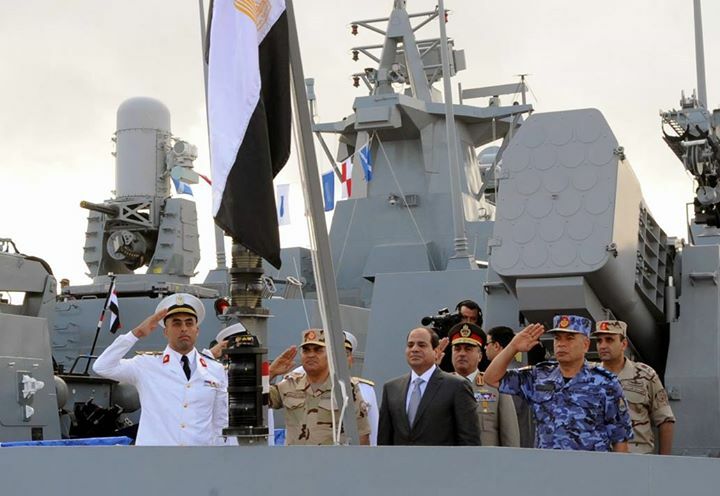 The F. Zekry was handed over in December of the same year. 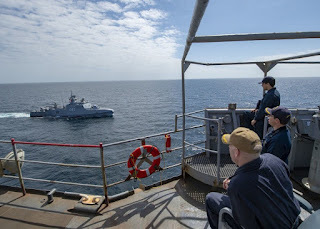 On 17 June 2015, the US delivered the remaining two vessels M. Fahmy and A. Gad, on board a U.S. transport ship, to the port of Alexandria, Egypt. The Ezzat/Ambassador Mk III class is a modern design, developed and built for the Egyptian Navy by the Vision Technology (VT) Halter Marine under the foreign military sales (FMS) programme, at a total cost of US$1,290m. 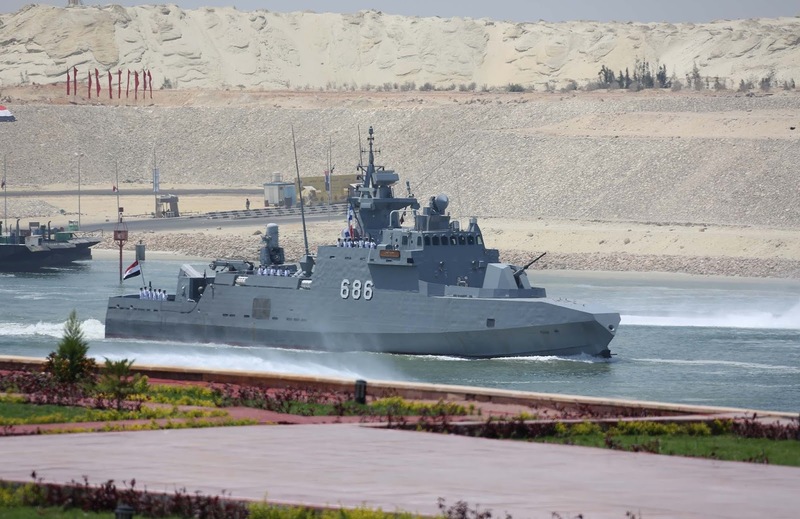 (source) The vessels of this class have impressive firepower and active defense for their small size and they are the newest vessels entering in service in Egyptian Navy incorporating many technological innovations that allow increased capabilities compared to older classes serving in the Navy. The design incorporates stealth technology to minimize radar, infrared, acoustic and magnetic signatures to reduce the chance of detection. 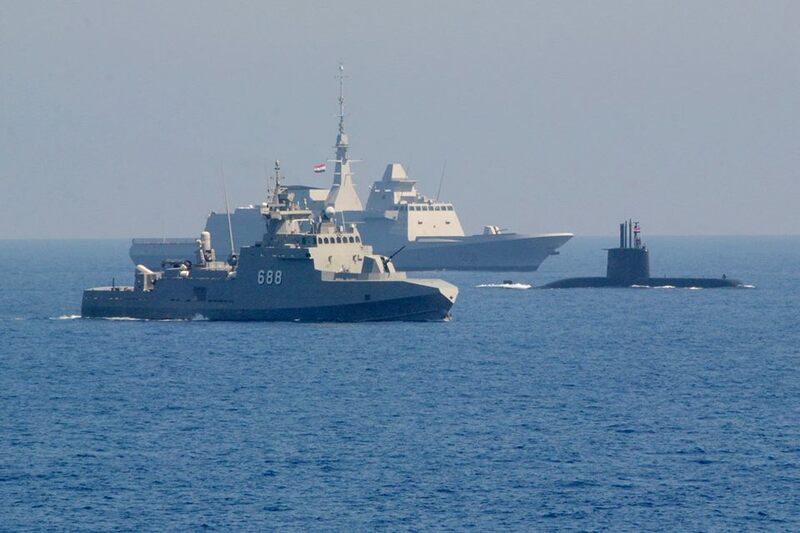 The Ezzats are the largest and heaviest FACM of the Egyptian Navy having a length of about 62 meters and a maximum displacement of 700 tonnes. The top speed exceeds the 41 knots while the vessel has a maximum range of 2,000 nautical miles at 15 knots. The mission endurance of the FMC is eight days at sea. The crew consists of 36-38 people. Each boat carries also one Rigid-Hulled Inflatable Boat (RHIB). Modified photo of Ezzat class fast attack craft. For a high resolution image click here. Each boat is equipped with a fully automatic OTO Melara Super Rapido main gun of 76mm/62cal (BAE Systems is licensed by OTO Melara for the right to manufacture the gun with the designation name Mk 75 in the United States) fitted with a stealth cupola and located on the bow deck. The gun is capable to intercept air and surface targets at a distance of 16 km (the effective range is between 5 and 8km) unleashing 120 rounds per minute weighting greater than 6 kg each. In comparison with the basic Compatto of the same manufacturer Super Rapido has an increased rate of 35 rounds per minute. The revolver magazine in the mount holds 85 ready rounds. The gun is remotely controlled but there is provision for an emergency local control as well. The vessels carry eight (8) Boeing RGM-84L Harpoon II anti-ship missiles in two Mk141 quad launchers amidships. 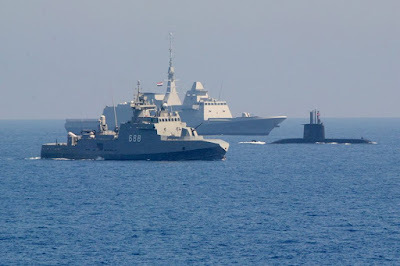 Egypt is one of the few countries in the region (together with Turkey with the Ada class corvettes) that have this advanced variant in their military inventory; Harpoon Block II missiles are designated -L-. Harpoon Block II offers an expanded engagement envelope, enhanced resistance to electronic countermeasures and improved targeting. Specifically, the Harpoon was initially designed as an open-ocean weapon. 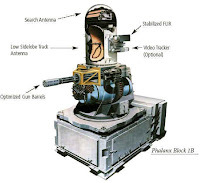 The key improvements of the Harpoon Block II are obtained by incorporating the inertial measurement unit from the Joint Direct Attack Munition program, and the software, computer, Global Positioning System (GPS)/inertial navigation system and GPS antenna/receiver from the SLAM Expanded Response (SLAM-ER), an upgrade to the SLAM. 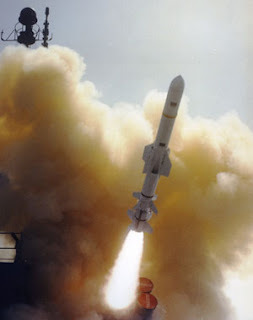 The Harpoon Block II missile can discriminate target ships from islands and other nearby land masses and thus and it provides the Harpoon with a littoral-water anti-ship capability. The Harpoon missiles have a range greater than 120km, a sub-sonic speed of 860km/h (Mach 0.9) and they carry a warhead of 221kg. Harpoon missile has a low-level, sea-skimming cruise trajectory, active radar guidance and it is capable to perform pop-up maneuver which it is a rapid climb of the missile to about 1,800m before diving on the locked target. Once the target is detected, the missile approaches this in a flight height of 2 to 5 meters until impact. The warhead does not discharge directly on impact, but with a time delay, so that the explosion takes place inside the ship and significantly more damage than at a contact igniting weapon. 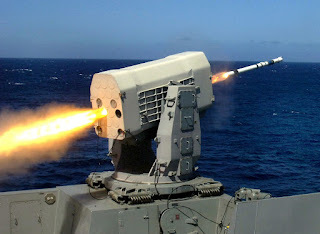 At the rear of the Harpoon launchers and at the same level, a Raytheon Mk15 Phalanx Close-In-Weapon System (CIWS) is installed, a very popular system worldwide in this role. Phalanx is a rapid-fire, computer-controlled, radar-guided gun system designed to defeat anti-ship missiles and other close-in air and surface threats. As a self-contained package, Phalanx automatically carries out functions usually performed by multiple systems – including search, detection, threat evaluation, tracking, engagement, and kill assessment. The Phalanx on the Egyptian boats belongs to the latest model Block 1B and thus the system is equipped with the stabilized Forward-Looking Infra-Red - FLIR sensor (the L-3 Communications Electro-Optical Stabilization System - EOSS), the automatic acquisition video tracker and other improvements that are absent in the older models. The Block 1B version of Phalanx adds control stations that allow operators to visually track and identify targets before engagement. 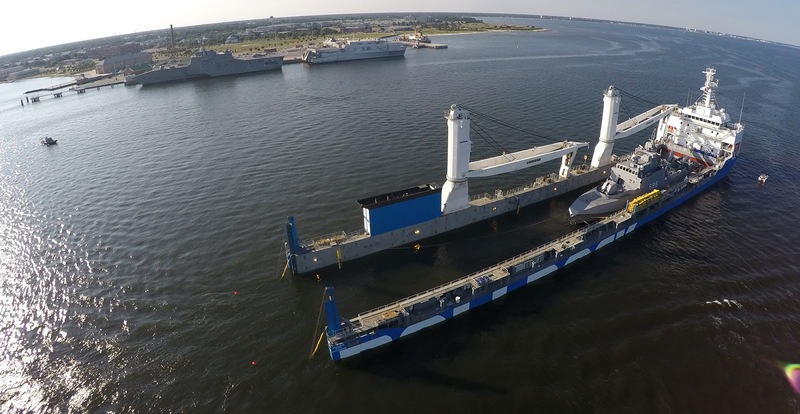 These improvements allow Phalanx to be used against helicopters and high-speed surface craft at sea while the land-based version helps identify and confirm incoming dangers. 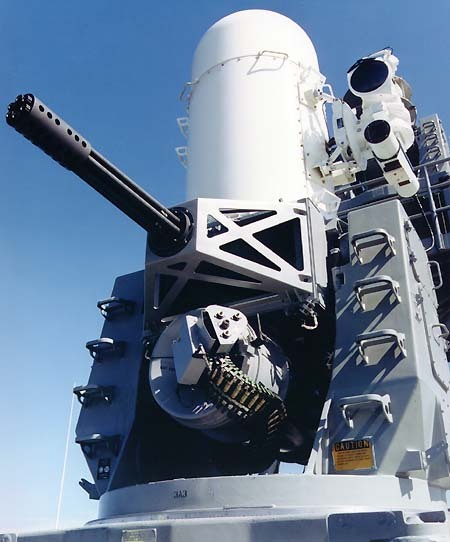 Phalanx Block 1B CIWS has a 20 mm (0.79in)/99cal M61A1 Vulcan 6-barreled Gatling autocannon that has an effective range of more than 3.5km and a rate of fire of higher than 4,500 rounds (!) 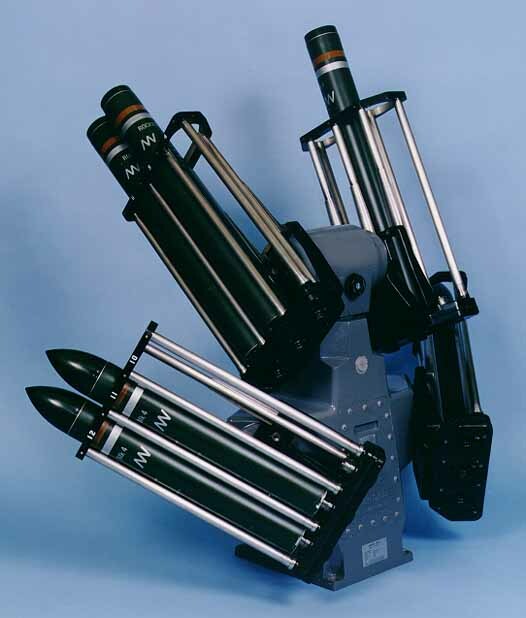 per minute, thanks to a pneumatic (air-driven) gun drive system, with a magazine drum holding 1,550 rounds. The maximum range of the weapon exceeds the 5,500km though the maximum effective range is close to 1,500 meters. 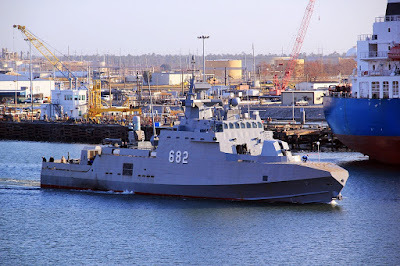 For long range and more specialized antiaircraft and antimissile defense (CIWS) other than the gun and the Phalanx, the vessels have an additional (!) 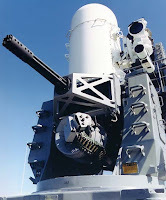 CIWS, the Mk49 Guided Missile Launching System (GMLS) with 21 missiles ready to launch RIM-116 Rolling Airframe Missile (RAM) (Block 1A). Together, missiles and launching system comprise the RAM Mk 31 Guided Missile Weapon System (GMWS). RAM is a class-leading weapon system providing a full perimeter protection to the vessel operator. It allows naval vessels to effectively engage high-performance, supersonic and subsonic threats, including sea-skimming, anti-ship missiles, high-speed incoming vessels, rotary and fixed-wing aircraft, helicopters and other surface targets. The Block 1A missile has infrared guidance system that enables it to intercept missiles that are not emitting any radar signals while the Block 0 passive radar homing capabilities have been retained. The range exceeds the 9 km and the speed surpasses the 2 Mach. 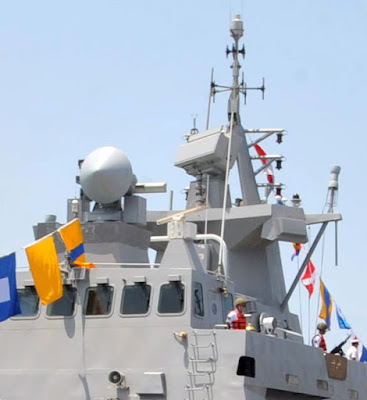 It is not known if the launchers on the Ezzat class craft, have been upgraded το Μod 3 in order to launch the newest RAM Block2, an upgraded version of the RAM Block 1 missile aimed at more effectively countering more maneuverable anti-ship missiles. A larger, more powerful rocket motor and advanced control section make the missile two and a half times more maneuverable with one and a half times the effective intercept range! 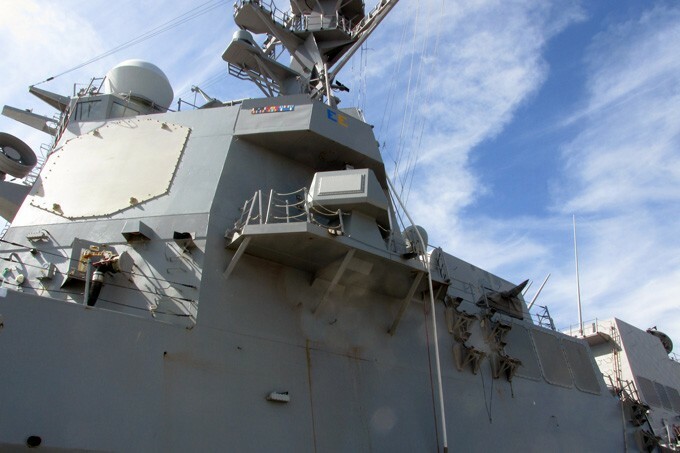 An enhanced RF receiver allows detection of anti-ship missiles that employ low probability of intercept receivers. Photo from the delivery of the last pair of boats. Notice the M60 machine guns. The armament completes two M60 light machine guns firing 7.62×51mm NATO cartridges from a disintegrating belt of M13 links. There are several types of ammunition approved for use in the M60, including ball, tracer, and armor-piercing rounds. The rate of fire is 500-650 rounds per minute and the effective firing range is close to 1km. The decoy launchers according to almost all the sources available online are the Mk 36 SRBOC chaff/ IR countermeasure launchers from BAE Systems Land and Armament Systems Division. This is not true actually. I could find neither one photo where I could identify a SRBOC launcher aboard a boat of the class. Only an unknown to me decoy launcher which later, after long search due to the limited photos available (of the boats and the launchers), I identified it as the Super Barricade decoy launching system produced by the Wallop Defence Systems Ltd (WDSL), a division of the British Esterline Technologies. To deceive enemy missiles except ESM countermeasures each vessel in the class is equipped with four (really unique for a vessels of that size to have four systems) deck-mounted launching systems integrated with the CMS and ESM. The launching system is loaded with a variety of decoys including, chaff, flares and torpedo expendable decoy cartridges. Each system is loaded with 12 102mm cartridges. Hard-kill and soft-kill weapon systems of an Ezzat class fast attack missile craft. High resolution image here. 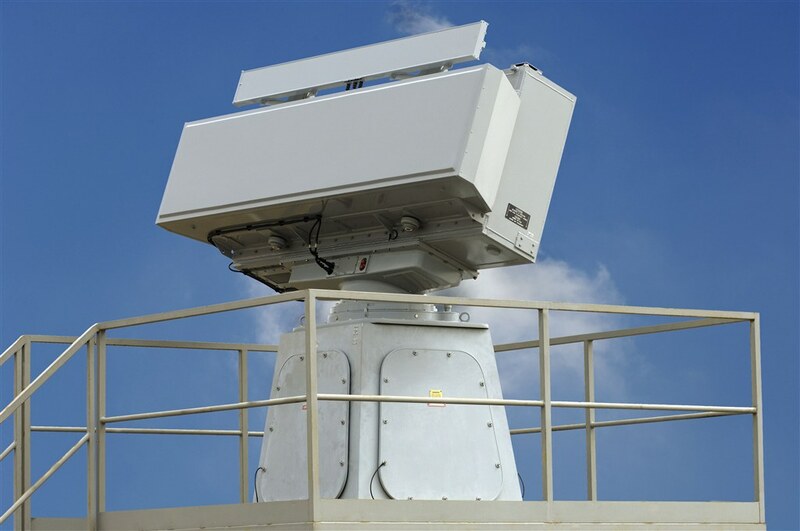 The majority of defense websites report the main radar of the vessels as the Raytheon EADS TRS-3D air and surface surveillance radar. However, if someone looks carefully, will recognize eventually the radar as the MRR-3D NG with integrated IFF, the latest Thales 3D multirole phased array radar. 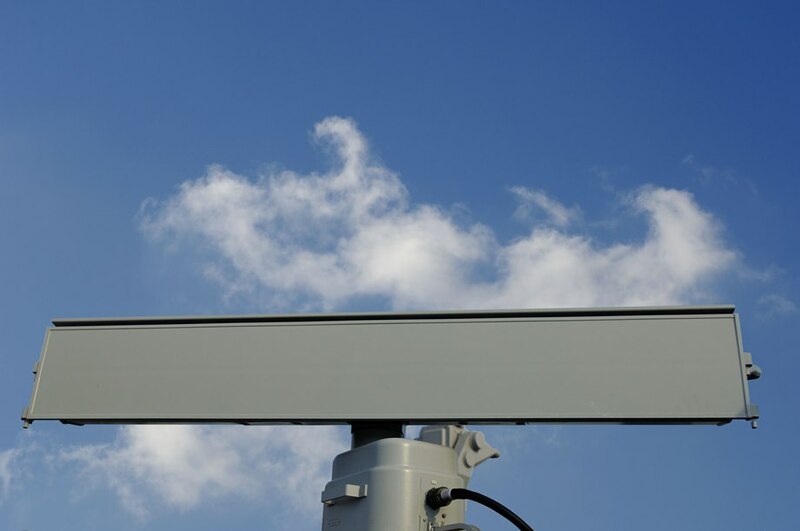 The radar provides long-range 3D air and surface surveillance, tracking and self-defence, target evaluation and weapon allocation, target classification support, weapon control, and offers advanced ECCM features. 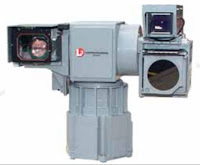 MRR-3D NG is especially designed to detect and track sea-skimming or diving missiles. The 3D air surveillance extends to 180 km, and surface surveillance to the radar horizon. In case of duct effect, special waveforms are used to benefit from this effect in detecting surface targets beyond the radar horizon. MRR-3D NG also detects, tracks and classifies helicopters over sea or land, including pop-ups and hovering or slow moving targets. The antenna is electronically scanned in elevation and performs 3D accurate tracking to provide accurate target designation (bearing, elevation, range, speed) up to 70°. For rapid deployment of self-defence weapons, the radar delivers tracks with a short reaction time. Then, a dedicated multi-beam pattern is used to provide accurate target designation to the ship or to an active missile system, minimizing target acquisition time for anti-air weapon systems. 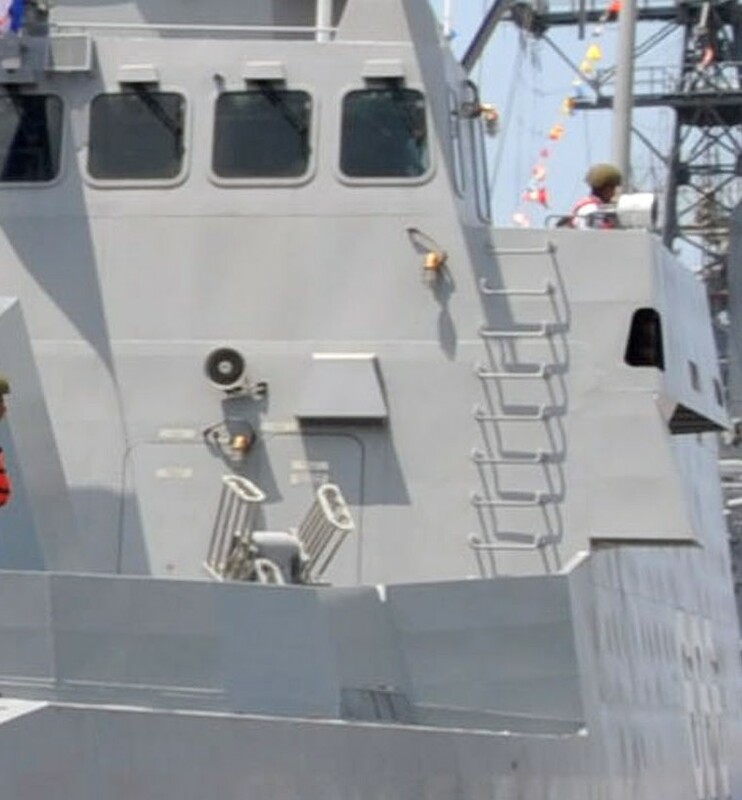 For anti-surface warfare, the MRR-3D NG performs splash spotting measurement to support gun firing control. Ezzats have also the SCOUT Mk2 Thales Naval Nederland, a Low Probability of Intercept (LPI) short-to-medium range surface surveillance and tactical navigation radar. Scout can be operated as a stand-alone mobile system for flexible responsiveness. Additionally, the system can be operated remotely (radio or line connection). 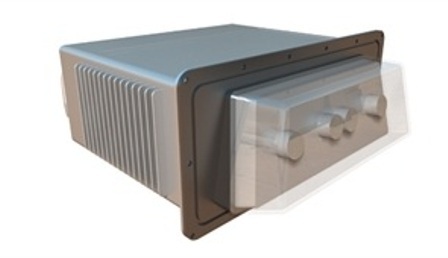 It is an all-weather fully solid-state system of high reliability operating in X-band radar feauturing Frequency Modulation Continuous Wave (FMCW) and therefore has an extremely low output power which makes the system ideal for cover operations in hostile environments where radar silence is required and thus its transmissions cannot be detected by ESM systems or radar warning receivers. SCOUT Mk2 outstandingly detects targets in adverse sea clutter conditions, thanks to its very small range cell size. The system is also very suitable for coastal surveillance. The range of the radar exceeds the 44km. 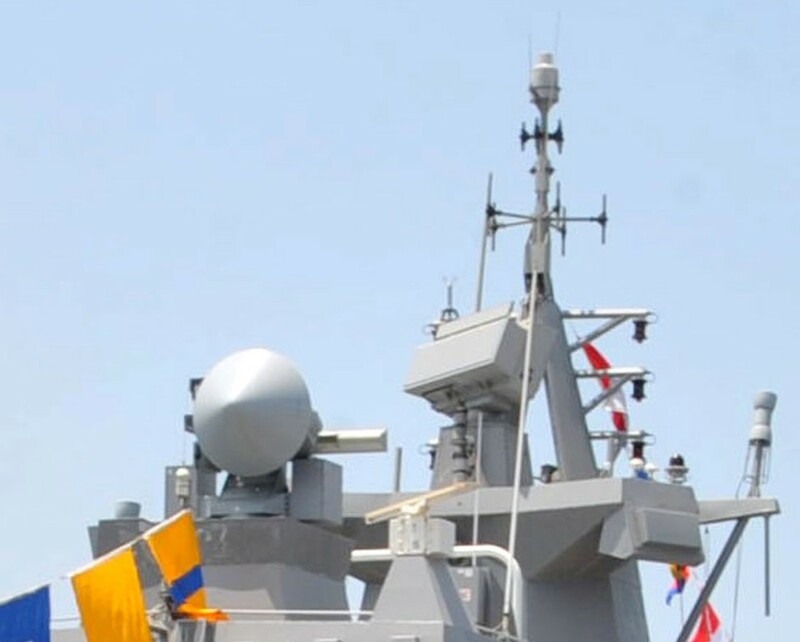 There is also another navigation radar that equips the boats which is the Raytheon Pathfinder. The boats are equipped with the STING-EO Mk2 of Thales, a highly capable, medium range, lightweight, dual band (I and K) weapon control system, primarily for gun control. The system offers support functions such as sector search (with automatic target detection), missile launch detection, projectile position measuring during gun fire and kill assessment support, it supports gun fire control, it performs kill assessment and makes a valuable contribution to classification and identification of threats. In addition, the system can be used as a surveillance sensor, even under radar silence conditions. STING-EO Mk2 combines a 1.2 m radar director with a full set of electro-optic equipment (TV/IR/laser), including optronic tracking and an automatic ‘best sensor’ selection process. The three data sources (I, K and EO) provide high redundancy, high performance and ECCM resistance. A shell-measuring feature is incorporated to support facilities such as Pre-Action Calibration (PAC) and Miss Distance Indication (MDI). 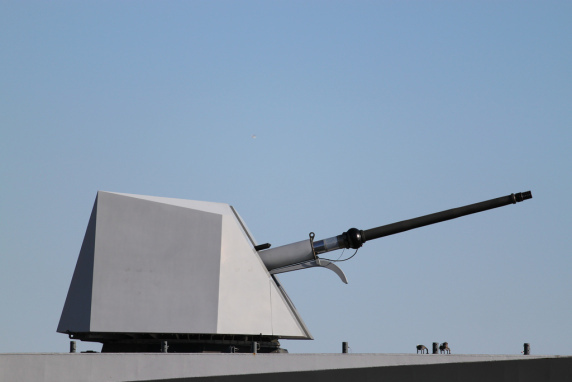 The fully solid state STING-EO Mk2 provides the best weapon control for medium-sized vessels. 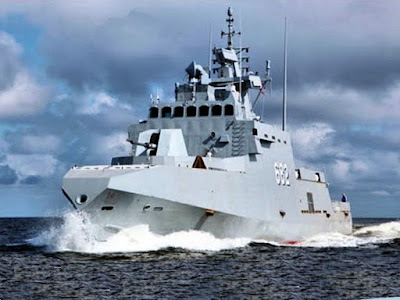 A system that is not mentioned in all the online sources, is the L-3 Communications Brashear LSEOS (Lightweight Shipboard Electro-Optical System) Mk II fire control and surveillance system that equips all the vessels of the class. The system combines combines high-precision electro-optical performance with proven marine ruggedness and durability. The LSEOS is integrated with shipboard systems to accurately acquire and track automatically inbound targets, predict target's future position to maximize intercept success (full solution fire control), slew the weapon to the correct aiming position and engage the threat and fire the weapon system. 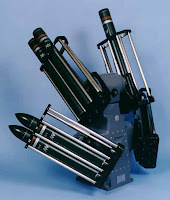 The majority of the defense sites assume and reproduce that the Electronic Support Measures / Electronic Countermeasures (ESM/ECM) suite, except the decoy launchers, includes the so-called Argon ST WBR-2000, a system that cannot find neither one photo or details of it, just some completely limited information here! 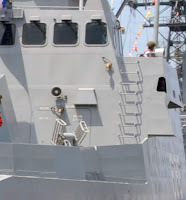 From the appearance of the sensors, I personally, identify the system as a small version of the popular Raytheon AN/SLQ-32(V) shipboard electronic warfare (EW) system. 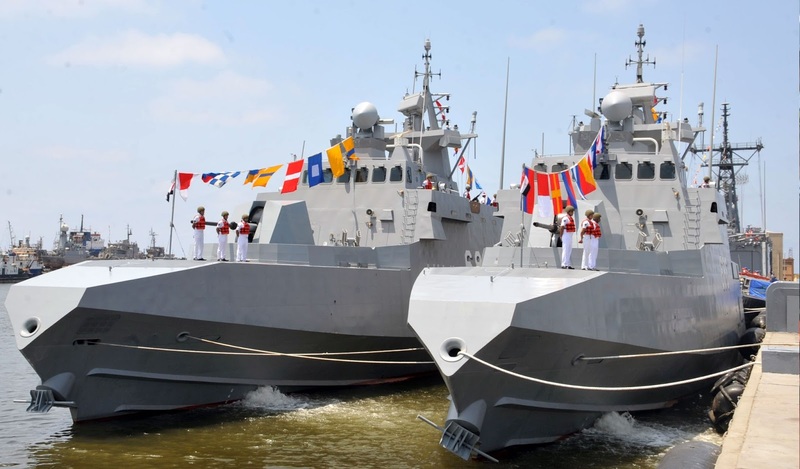 The EW antennas of the boats are almost identical to the AN/SLQ-32(V)6, the latest and most advanced version of the type, developed as the Electronic Warfare Improvement Program SEWIP Block 2 System by Lockheed Martin. The system, according to Raytheon, achieves EW objectives by providing full threat band frequency coverage, instantaneous azimuth coverage, 100 percent probability of intercept and simultaneous response to multiple threats. 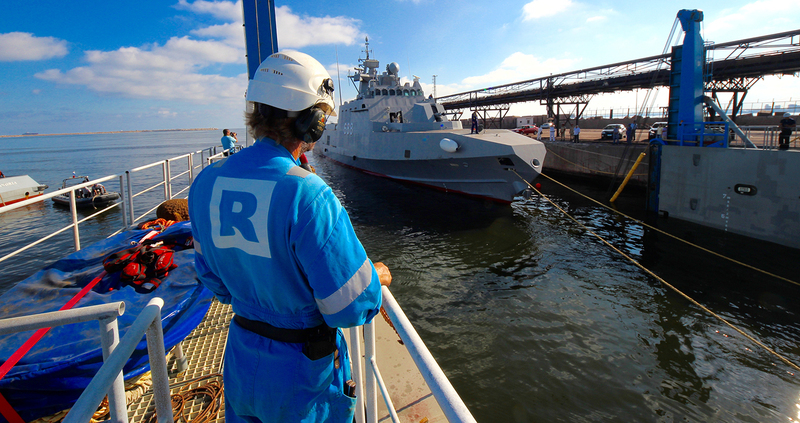 It can detect aircraft search and target radars well before they detect the ship. The system's rapid response time ensures that jamming protection is enabled to prevent long range targeting of the ship and to deceive missiles launched against the ship. The system has an on-line library of emitter types for rapid identification. Another system (but it is unlikely to be this), that resembles the EW antennas on-board the Ambassadors, is the Vigile DPX developed and launched in 2012 by Thales. The Thales ALTESSE C-ESM/COMINT antennas can be noticed also on the mast. 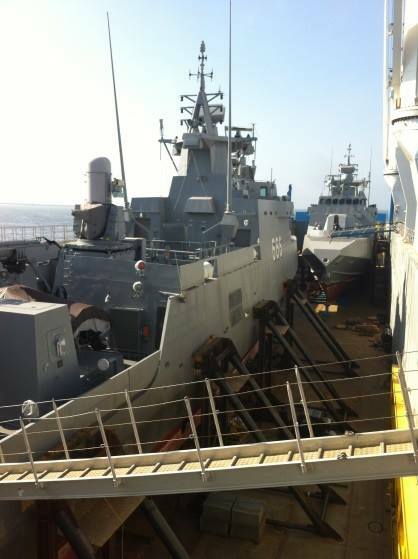 The vessels also feature Link ASN 150, LinkY Mk2 (developed specifically by Thales for non-NATO navies), Link 14, and Link 11 datalinks, integrated together with the other weapons, guns, radars, sensors, EW system, chaff launchers and communications in the TACTICOS Combat Management System of the boats (more information here) integrated by Lockheed Martin. The combat room accommodates the Multifunctional Operator Consoles (MOC) Mk3. Split second decision making in the high tech naval combat environment depends on tight integration of sensors and weapon control systems. 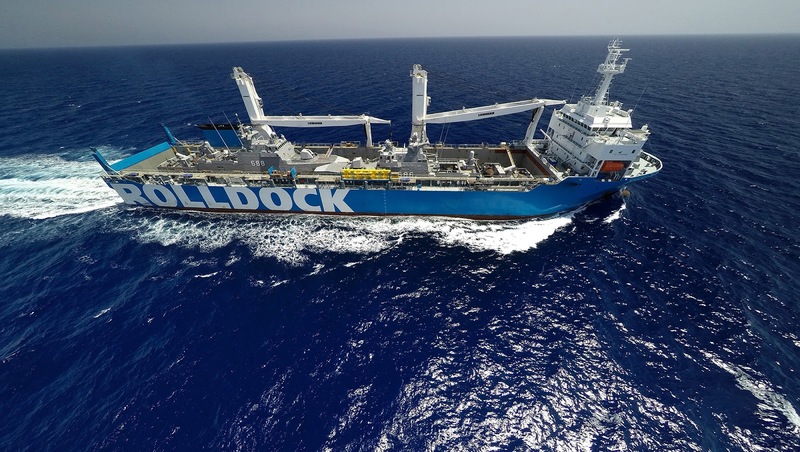 Top performance demands flexibility for rapid response to changing conditions. This is the basis on which Thales has developed the combat management system TACTICOS. The system tightly integrates all subsystems for synchronised performance of the combat system and ship. It is designed to fully support a combat team in every stage of a naval operation, from pre-mission planning right up to post-mission analysis. This includes assessing and monitoring the tactical situation, planning and co-ordinating actions, and controlling actions and weapons. 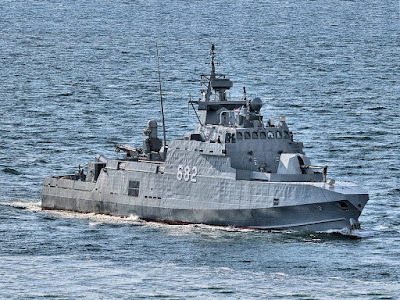 Soviet/russian "small missile ships" are at least comparable, and they were never classified as corvettes. 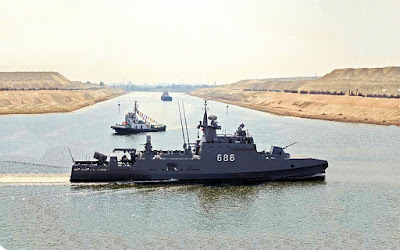 The Buyan-M ships are about 1,000tons displacement and 75m length, so i would not call them FACM as Ezzats. 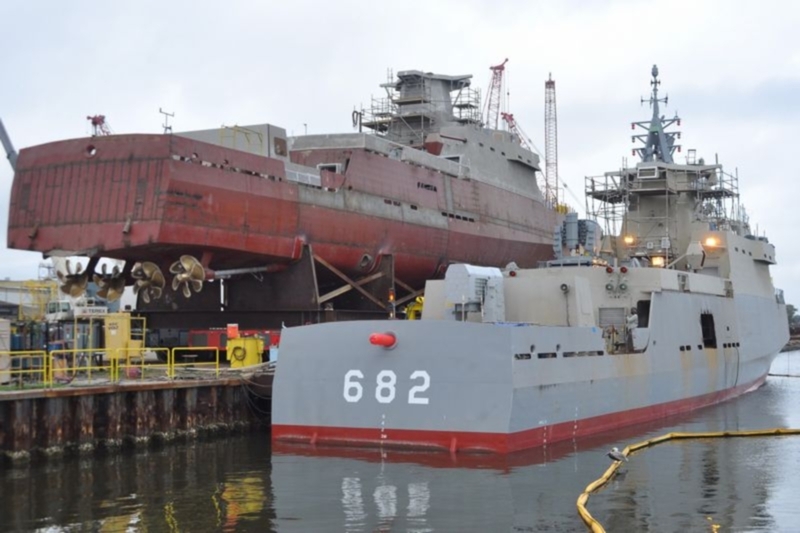 The Buyans are not even missile ships; I would classify them as artillery ships or patrol vessels. Now, about the rest of Russian missile designs, the Ezzats are superior, not only due to their modern design and electronics, but mainly thanks to their two sophisticated (different) CIWS that can engage also surface targets. tecnically FAC(cutter) - ship borderline is around 500t. Based on adequate ability to steer off in harbor without external help, by crew hands' power basically. p.s. phalanx is hardly sophisticated. 1970s' vintage plug-in, by now at least partially outdated.